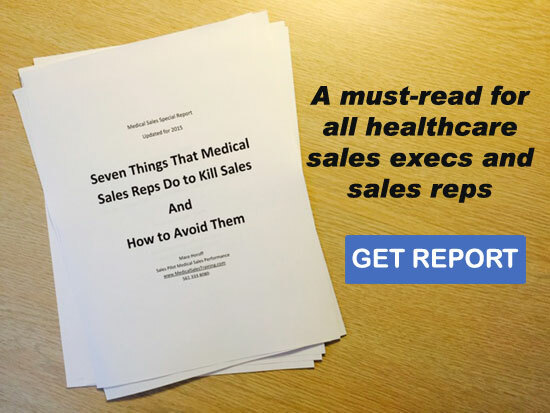 Mace Horoff is an award-winning speaker, trainer, consultant and the author of the book, Mastering Medical Sales. He has spent thirty-six plus years selling, managing, consulting, speaking about and training in healthcare sales and currently heads Sales Pilot Medical Sales Performance, a company that works with a variety of medical device and pharmaceutical manufacturers to help their sales teams sell more to their healthcare customers. His clients include companies in the Fortune 500 as well as smaller manufacturers and distributors. He writes The Medical Sales Blog and produces The Medical Sales Guru Podcast & Medical Sales Video Channel. He is also the creator of Medical Sales Academy, an online training and support site for medical sales professionals. Mace challenges the thinking of medical sales professionals and others who sell to those who make critical buying decisions. He guides them to be “relevant” to their customers, which elevates them far beyond products and services. For information on Mace's training, workshops, and mind-shifting keynotes that generate sales growth, please visit the Sales Pilot Medical Sales Performance website or call +1.561.333.8080. © Sales Pilot 2019. All Rights Reserved.